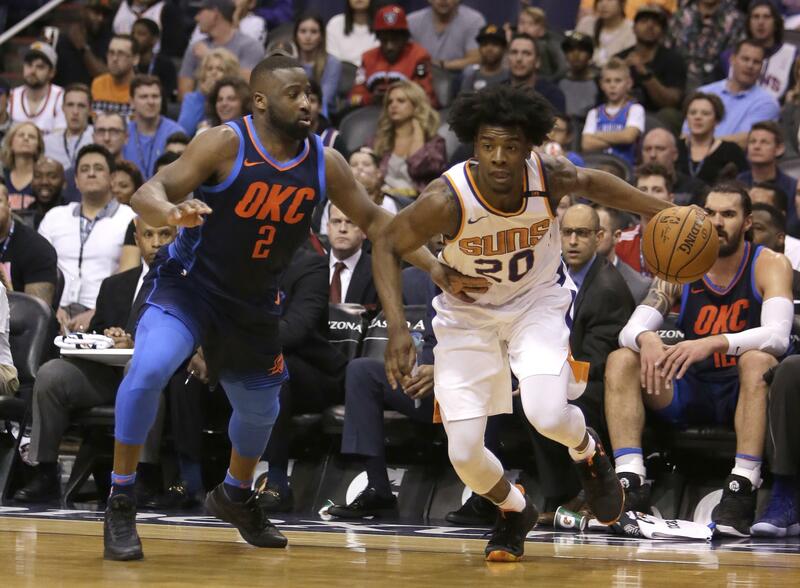 Thu., July 12, 2018, 9:55 a.m.
OKLAHOMA CITY – The Oklahoma City Thunder have re-signed guard Raymond Felton. The Thunder made the announcement Thursday without details on the deal. Felton appeared in all 82 games last season and averaged 6.9 points, 2.5 assists and 1.9 rebounds as Russell Westbrook’s backup. Felton has appeared in 938 career games, with averages of 11.4 points, 5.4 assists and 3.0 rebounds. The 13-year NBA veteran ranks eighth among all active players with 5,044 assists. Felton was selected fifth overall by Charlotte in the 2005 NBA Draft and was later named to the All-Rookie Second Team. In college, he helped North Carolina win the 2005 national championship and was selected to the all-tournament team. Published: July 12, 2018, 9:55 a.m.